10MM Socket Rail - Will this solve your problems finding a 10mm? Will this rail be your savior, or will the whole thing go missing? 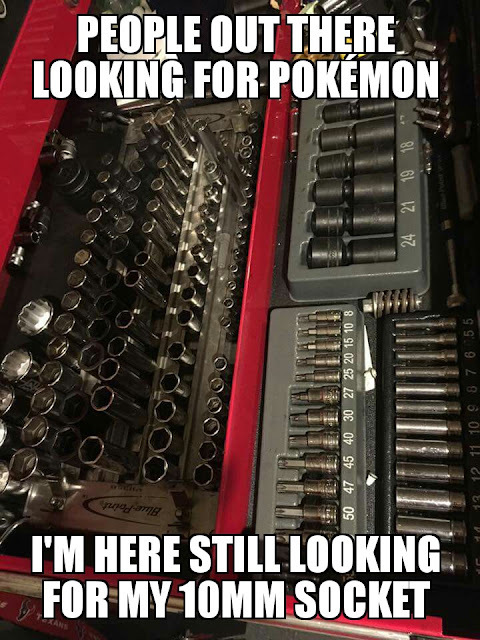 Ten 10 millimeter sockets on a single rail from Gearwrench, although we see KD offering the same thing/part number. 1/4 and 3/8. Impact, short, medium, Long, and swivel 10mm. It should be able to get you buy for at least a week.